Summertime is all about fun in the sun, but the best way to beat the heat is playing in the water. Slip-n-Slide celebrates one of the best summertime activities: visiting a waterpark. Slip-n-Slide's bright, playful color palette screams 'fun! ', while its hand-drawn elements complement your photos perfectly. Featured elements include water slides, tubes, word art, and a blue flair alpha. Prefer lazy days at home to a lazy river? Slip-n-Slide's bold patterned papers, summery glitter papers, and traditional elements complement all types of sunny photos and play well with other kits. Enjoy your fun in the sun and scrap with a splash with Slip-n-Slide. Styles and trends will go in and out of fashion but memories are forever. Timeless' rich color palette and elements are, well, timeless. This calm, understated kit is perfectly designed to complement both heirloom photos and your current photos perfectly. Timeless contains classic patterned papers and subtly textured solids, as well as the banners, flowers, and ephemera every layout needs. In addition, this kit also contains hot air balloon motifs, clockwork gears, and a typewriter key alpha that harkens to days gone by. 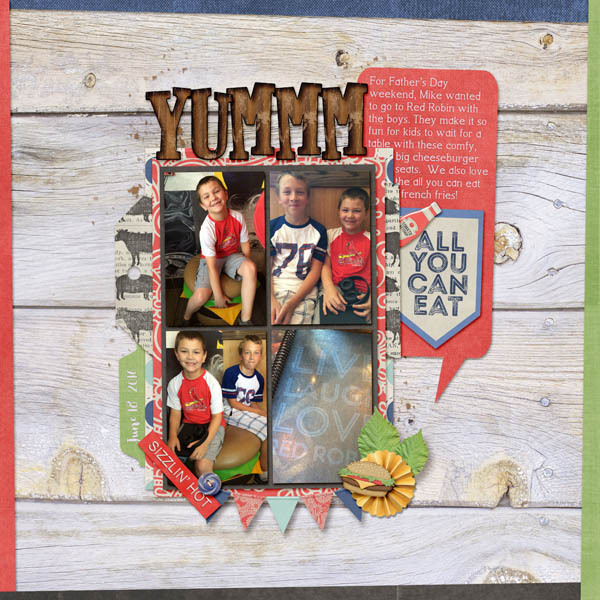 Create scrapbook layouts that stand the test of time-and that future generations will love-with Timeless. Those of you that are into Steampunk will especially love this kit. Summer is here so get your grill on! License to Grill by Magical Scraps Galore is the ultimate summer cookout collection, packed with everything you need to document a good old fashioned BBQ, family gatherings, tailgate parties, 4th of July cookouts, even the self-proclaimed "grill master" in your family ... Overflowing with Marina's custom-drawn graphics, this collection includes burgers and hot dogs, steaks and skewers, condiments and grilling utensils, beer and soda bottles, grills, flames, plus many other grilling elements and patterns to make for tasty lasting memories. 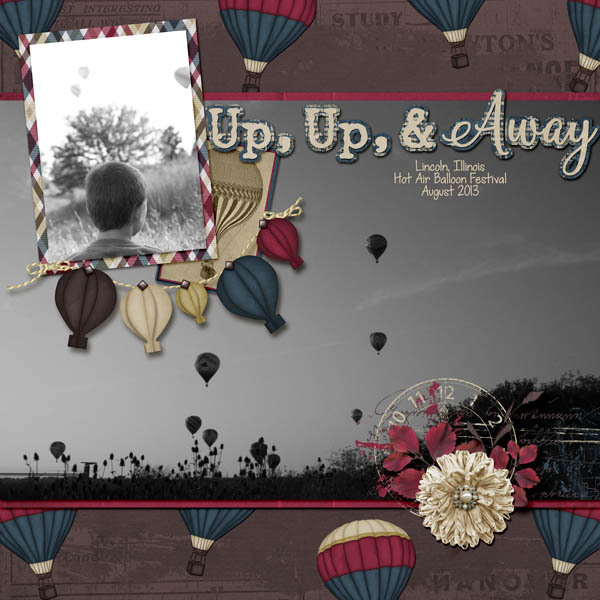 Included in this digital scrapbooking pack you will find 25 textured papers (15 patterns and 10 solids), one uppercase alpha with numbers and punctuation, and 70 elements.